Old South Barbecue in Smyrna has been there 50 plus years. It is family owned and operated and the neighborhood kids, it appears, can come in and out and pour themselves a drink anytime they want to. 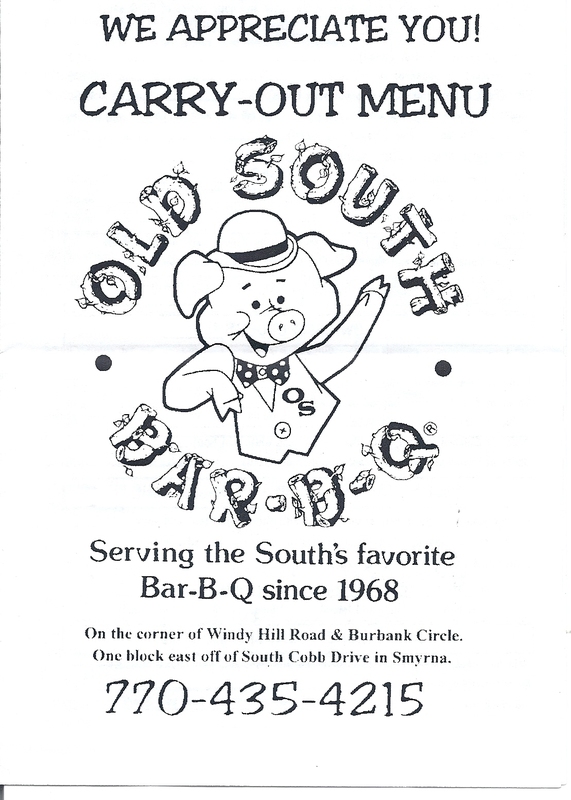 We first started going to Old South just after they were freshly opened. We like their unpretentious down to earth style, and of course their food. 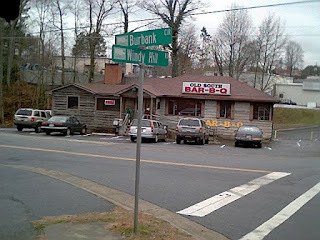 It seems that every time we have rode by we would see police cars and/or ambulances parked out front, not because there was trouble going on inside, but because of the scrumptious BBQ. When we were freshly married on a News Years Day we wanted black-eyed peas. 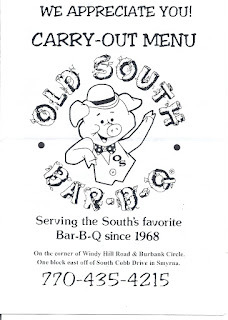 We called around and found that Old South had them for the day.